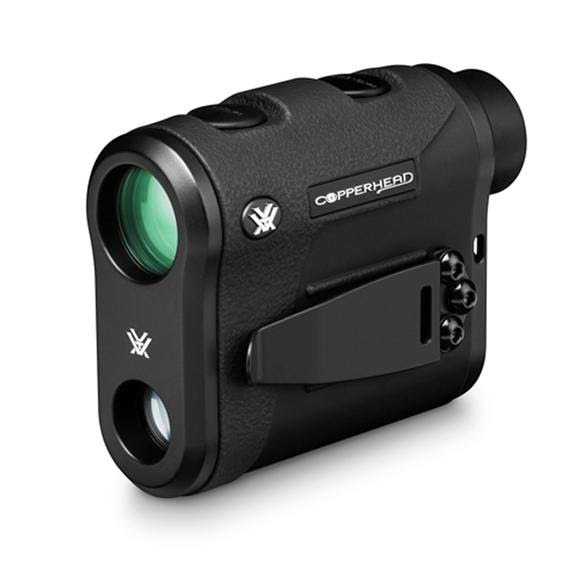 The lightweight Vortex Copperhead® 1500 is an easy to use rangefinder with a clean display and highly intuitive menu that quickly and accurately ranges targets from 9 to 1500 yards. The Primary Horizontal Component Distance (HCD) mode provides an angle compensated distance reading because we know you don't always hunt on flat ground. The lightweight Vortex Copperhead® 1500 is an easy to use rangefinder with a clean display and highly intuitive menu that quickly and accurately ranges targets from 9 to 1500 yards. The Primary Horizontal Component Distance (HCD) mode provides an angle compensated distance reading because we know you don&apos;t always hunt on flat ground. Three brightness settings coupled with fully multi-coated lenses deliver maximum light transmission and easy viewing in varying light conditions. Add o-ring seals and you get waterproof performance as well. The 1500 can be set to read in yards or meters and is perfect for hunters, target shooters, bowhunters, and other sportsmen who need to know accurate ranges. The compact lightweight Copperhead 1500 fits easily into your pack or can hang around your neck using the included lanyard. The adjustable utility clip works on a belt, pocket, or other flat edged surface for easy access. The clip can be mounted on the right or left side of the unit or completely removed. The Copperhead 1500 runs on the common CR2 battery.